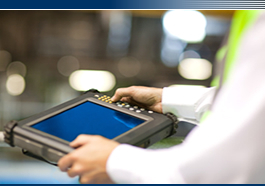 Mr. Sussman is experienced in all aspects of automated system development. As an Automation Systems Consultant with Process Automation Corporation he is responsible for the entire life cycle of system development; from specification and design through development, implementation and maintenance. As a Certified LabVIEW Architect he is responsible for the overall system design and architecture on many of Process Automation’s client systems. Mr. Sussman's resume includes fully autonomous test systems, allowing operations independently or networked together to a master control system, automated RF and Microwave test systems for the aerospace industry as well as custom vision inspection and data acquisition systems for research as well as production test environments. 25 years experience using National Instruments LabVIEW. Design and control of calorimetry test systems. Real Time and FPGA based automation system development. Expertise in product and process improvement techniques. Extensive system automation experience including automated test, instrument control, image acquisition and processing, data acquisition, motion control, and database interfacing. Dr. Drake consults with and advises client companies on ways to maximize their business profits by making changes in manufacturing, laboratory and R&D operational policies and procedures. Recommendations are focused on the areas of improved manufacturing strategies and automation of shop floor and laboratory operations. He has contributed to numerous projects in the area of Integrated Business Planning with special focus on the lower and mid levels of the business architecture. He has worked with major corporations that manufacture or process chemicals, food, pharmaceuticals, plastics, metals and many other products, and is particularly experienced in industries where sheet processes play a role in product manufacturing. 30+ years experience using National Instruments LabVIEW. Designed and developed the TrendSafe Platform, a supervisory control and data acquisition (SCADA) system for LabVIEW. Conceived, designed and developed image processing software for PARISS, an optical spectrometer commercially available from LightForm, Inc. (www.lightforminc.com). Identification, design, cost justification and realization of automation and instrumentation systems. Determining optimum manufacturing strategies and practices for manufacturing plants and processes. Knowledge of the best automation techniques for many industries. Idea development for businesses, new and existing products, or processes. Understanding, designing and applying control systems, sensors and actuators. TQM/TQC and Cycle time reduction. Mr. Burzi is a classically trained software engineer with over 15 years of experience specifying, designing, developing and maintaining automation systems. His areas of expertise include automated test, instrument control, vision systems, data management, and digital and embedded systems. Mr. Burzi is experienced in developing code on a variety of platforms including embedded hardware (such as camera systems and bench-top instrumentation), real-time and FPGA based systems, and computer based systems. Mr. Burzi has developed systems for commercial and prototype products, scientific laboratories, production facilities, and research and development programs. His understanding of both the hardware and software aspects of a system allows him to identify efficient and effective solutions to the most challenging technical issues. Mr. Burzi possesses the leadership, knowledge, and communication skills needed to collaborate with multi-disciplined design teams. 15 years experience using National Instruments LabVIEW. National Instruments TestStand test management software. National Instruments VeriStand software environment for building real-time test systems and hardware-in-the-loop simulators. Relational database design and implementation using Microsoft SQL Server. Embedded software development with Altera NIOS II Soft Core Processors. Digital logic development for FPGA targets using graphical input and VHDL. Extensive system automation experience in automated test, instrument control, vision systems, data acquisition, and data management. Mr. Drake is an accomplished systems consultant responsible for the design and implementation of automation systems in variety of industries. Mr. Drake has extensive experience in the Pharmaceutical and Biotechnology industries where he has implemented robotics and vision based automation systems for both bench top research and full scale manufacturing environments. In addition, he is knowledgeable of the FDA regulatory requirements regarding software development for these industries, including documentation, code review and validation procedures. Mr. Drake is experienced in the development of automated test systems for the Aerospace industry, including hardware and software integration, software design and development, and system testing. 10 years experience with vision system development and microscope automation for Biotechnology applications. Pilot Plant Automation using the TrendSafe Platform. FDA regulatory requirements for software development and automated systems. Interfacing the TrendSafe Platform with PLC based automated systems. Expertise in PXI chassis, MUX and Matrix switching design. Extensive systems automation experience in automated test, instrument control, image acquisition and processing, data acquisition, and remote monitoring.